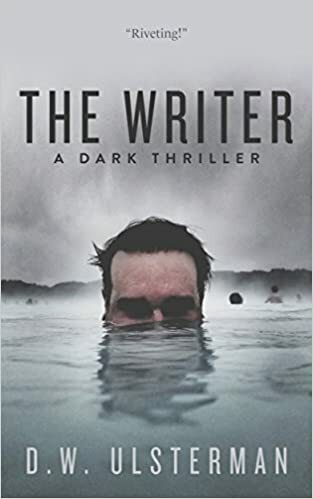 I wish to extend my sincere gratitude to the readers who continue to take the time to post a quick review of my latest novel, THE WRITER on its Amazon book page. Those reviews are essential to the novel’s longer-term success as the book prepares for its wider, general-public release next week. Ulsterman has done it again! LOVED The Writer! A true WORDSMITH of the highest order. Another WINNER for D. W. Ulsterman! ‘The Writer’ is a bit out of character for D.W. in my opinion, although not to imply that I am disappointed in it. Quite the opposite. I have been conditioned by his previous writings to be prepared for an all out frontal assault on the senses with an adrenaline rush that might be compared to driving in a NASCAR race, though I have never had that experience personally. What I got instead was a well thought out string of events that led up to an ending that was totally unexpected and left me satisfied, but still open for more. Character development was quite complete without getting so involved in such minuscule trivia as to make it boring. (I don’t really care what color candles the character had on his/her first birthday cake). It is proving hard for me to review this book without giving spoilers, but I will continue to the best of my ability. The author’s descriptions of the locale made me feel as though I was there with the characters. I could feel the rain, enjoy the sights and almost taste the food as they did. It was as though I were a part of the plot instead of the reader. My role was to simply be a bystander and to observe what was happening as it happened. It was a role I gladly accepted more and more the deeper I became involved in the book. That night after I finished it, I dreamed about it, inserting myself into the plot, although never quite knowing why I was there. It was very late when I downloaded this book to my kindle, and I made the mistake of wanting to read the first few pages before going to sleep. I was drawn in so completely that I didn’t realize how long I had been reading until I saw that the sun had come up. I have read many of Mr. Ulsterman’s books, but I believe this one is by far the best! It begins innocently enough with Adele, a college student who works for the college newspaper, receiving an invitation from Declan Stone to do an interview with the writer who had been a recluse for many years on his private island following the death of his wife 27 years before. The agreement was only if she came to visit him, and she was really nervous as she had been a big fan of his one-time best seller from years before. She left the interview feeling that not all of the story had been told, and that something deeper was held back. She got him to agree to a second interview in the near future, but had been disturbed the evening before to find that they weren’t alone that night as they had believed. Following up on her research, she was stunned to feel that her life was threatened by the stranger that was on the island that night as he had followed her back to the university. Digging deeper, and returning to the harbor to interview others, the mystery gets deeper and deeper. You can pre-order the e-book version of THE WRITER at Amazon or purchase the paperback now HERE . And thank you again to my readers. Your help and support in my writing endeavors is so greatly appreciated. Readers, I Need Your Help!